In a move that should not surprise fans of the original game, Deck 13 has announced that it is working on The Surge 2. While the team are not ready to show off the game in action they were willing to tell us all about what they are bringing to the sequel. 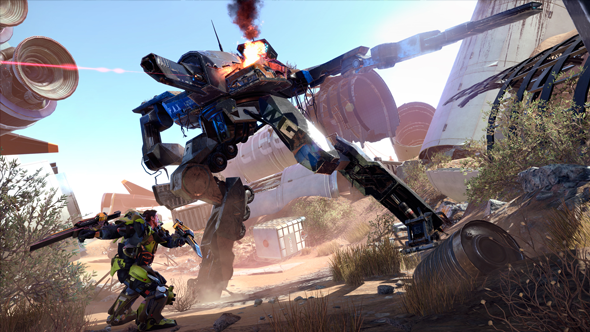 The Surge 2 sees you return to the dystopian future of an Earth going through ecological collapse. Once again, you will slip into an exosuit and carve your way through crowds of rage-filled survivors. As in the first game, should any of those survivors be carrying a weapon that catches your fancy then you can cut off the limb and fit it to your own suit. Into character stats and inventory screens? Check out the best RPGs on PC. 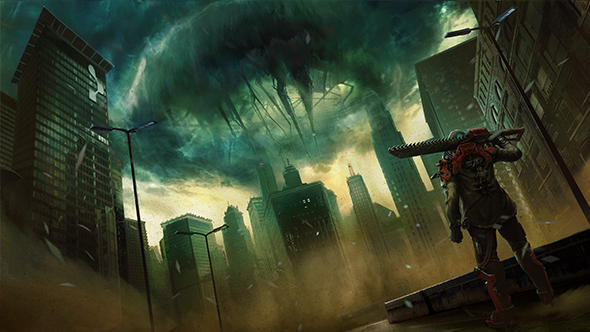 The Surge takes place in a world in the middle of an ecological collapse. Rivers are drying out, pollution is killing off wildlife, and humanity is concentrated in cities that are scrabbling for the resources to survive. The corporation you worked for in the first game, CREO, were trying to restore the planet by firing rockets full of nanobots into the atmosphere. Spoilers: it didn’t work. Worse still, the nanobots drove most the world’s mechanically-enhanced humans on a rampage. All the action of the first game was contained in a CREO-owned industrial complex. But the sequel moves the action over to a city that is dealing with the crisis brought on by the nanobots. Everyone is trying to kill each other. An enemy type you will find in the new city environment are survivors who don’t have exo-suits. They have not been affected by the nanobots but “they want to take your stuff, they’re envious but they’re individually less strong than you are so they have to behave in a way that still makes them challenging,” Hetenyi explains. “They can group together and set up ambushes. Or, if the group starts to decay, then they’ll attempt to find another group and come back with them.” It is this push and pull of enemies reacting to you that we will see a lot more of in The Surge 2. Hetenyi explains this is all “part of a new sort of ceiling to mastery.” You don’t have to learn enemy behaviour to get through The Surge 2, but it will allow you to better predict how an enemy will attack if you do. “You can engage with it as much or as little as you want to,” Hetenyi says. Deck13 is giving you a string of new moves that have a big pay-off when executed well but, if not, can leave you in the dust. An example of this that Hetenyi gives is a hard parry: “If you’re in heavy gear then you can hard parry an enemy’s directional attack, pushing an attack away and cracking open their defences.” You could have simply dodged the attack but by staying in danger to parry the attack you’re rewarded with an opportunity to hit the enemy in the gizzards. The team want to reward that kind of risk taking because it gives you a reason to master the movements of their enemies. While largely a solo experience, you have one friend in The Surge and its sequel – a loyal drone that follows you around and jabs your enemies when they’re not looking. 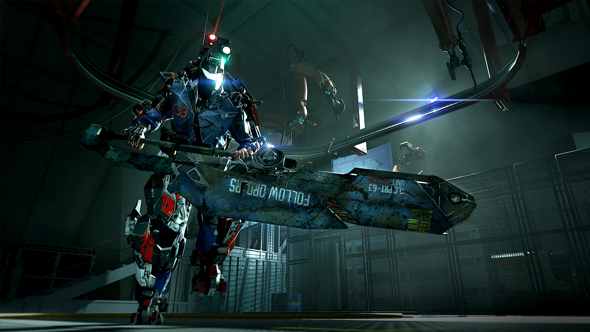 In the same way you can cut off melee weapons from enemies for your own use, in The Surge 2 you can now cut off ranged weapons and fit them to your drone. Hetenyi says this can lead to “interesting combat manoeuvres.” You can, for instance, use the drone to bridge your combos between enemies or disrupt one enemy while you are trying to focus on another. Or, for cowards like me, if you are facing a heavily guarded enemy you can send it to shoot them in the back, breaking their defence. 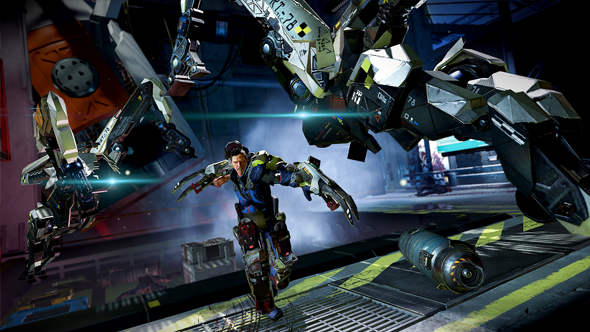 Most of the armour and weaponry you amassed in The Surge was repurposed industrial equipment. You weren’t playing in a war, after all, but picking your way through a series of factories and labs. Deck13 is taking the opportunity that comes with moving the action to the city to widen what is available to you. There will still be some industrial equipment, but you will also find “garage-built, welded together stuff people are using to survive in this hazardous, radioactive environment,” Hetenyi says. At the other end of the spectrum, the team are stuffing the game with high-tech, military-grade weaponry, too. “We wanted upgraded gear to not just be ‘Oh your DPS goes up’ but actually add effects to different combat moves,” Hetenyi says. All these additions – drone abilities, combat moves, and gear grades – are intended to give you enough customisation options to define your character. Unlike the first game, in which you played a particular character called Warren, in The Surge 2 you will be allowed to design your on-screen persona with a character creator. Not only will it allow you to pick your gender and appearance, you will also be able decide which kind of playstyle you would like to start the game kitted out for. Part of the reason you are free to pick your starting gear is because The Surge 2’s difficulty is much more flexible than the first game’s. Not in that you set a difficulty level, but in how you decide to approach challenges. “We had people who played the first game that really liked the difficulty curve,” Klose says, “but other players said ‘I started the game, I liked it, and then came this boss and I felt I was running against a wall’.” At which point those players put the game down and walked away. 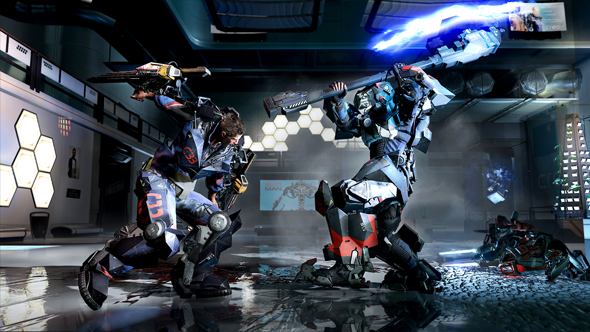 A particular part of The Surge’s difficulty was the game’s bosses and they, too, are being revised in the sequel. The first major boss of the first game – a military robot called P.A.X. – was a significant challenge to new players. Not only was it heavily armed and armoured, to defeat it you had to discover how to make it injure itself with a rocket strike. Do not go away thinking that this means there won’t be as many bosses in The Surge 2. In fact, “we’re going to have more boss encounters,” Hetenyi says. “We’re going to have more boss encounters that are varying sizes and levels of complexity. It’s not like you’re clearing area, clearing area, clearing area, BOSS. We want different levels of difficulty and challenge, bosses you can skip all together. Every level will have a big awesome end of level boss that will demand the most from you but these interstitial encounters let the player learn what is expected from them in the game.